Vehicle Highlights The 2009 Chevrolet Aveo lineup gets slightly more power, standard OnStar assistance, and a restyled hatchback model. Chevrolet\'s smallest car comes as a 4-door sedan or a 4-door hatchback called the Aveo5. Both body styles come in LS and uplevel LT trims. 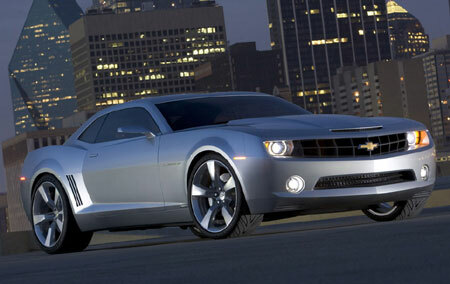 All have a 106-hp 1.6-liter 4-cylinder engine, an increase of 3 hp from 2008. A 5-speed manual transmission is standard, and a 4-speed automatic is optional. Available safety equipment includes ABS and front-side airbags. A 2LT option package includes cruise control, heated power mirrors, power windows and locks, satellite radio, and remote entry. COMPETITION Consumer Guide Automotive places each vehicle into one of 18 classes based on size, price, and market position. The subcompact class is made up of the smallest hatchbacks, sedans, and wagons on the market. These are generally considered economy cars. Our Best Buys include the Honda Fit and Suzuki SX4. Our Recommended picks are the Hyundai Accent, Kia Rio, and Scion xD. 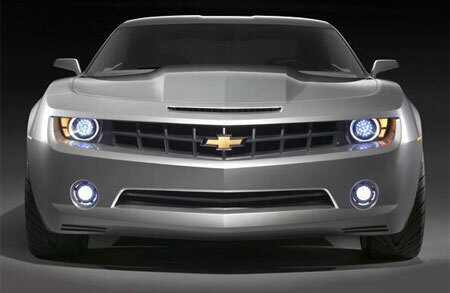 New or significantly redesigned models include the Chevrolet Aveo, Honda Fit, and Pontiac G3. The Toyota Yaris adds a 4-door hatchback to its model lineup for 2009. 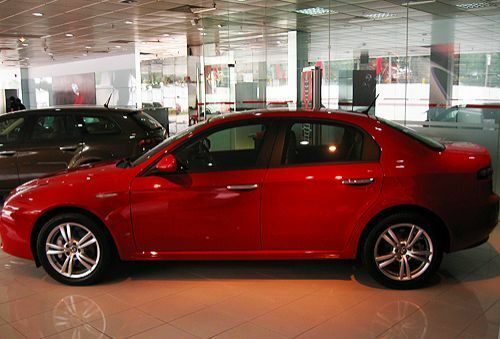 Overview Born from Alfa\'s long, widely acknowledged experience in the production of prestigious sports saloon, the Alfa Romeo 159 represents a masterpiece in the automobile industry. Designed by Giorgetto Giugiaro in collaboration with the Alfa Romeo Styling Centre, this new gem has an elegant, sinuous line which combines generous dimensions with the compactness typical of Alfa Romeo sportiness. Exterior Alfa 159 is a prestigious 4 door saloon car featuring generous measurements which is roomier than Alfa 156; 4,660 mm long, 1,828 mm wide and 1,417 high with a wheel base of 2,700 mm. It is designed and developed with high performance materials such as multi sheet metal and laser welding. The new model is equipped with the new aluminium petrol engines, created by the Alfa Romeo engineers, each with JTS direct injection and Twin Phaser technology, providing exceptional driving sensations. Interior The Alfa 159 features an innovative ignition system comprising an electronic key with three buttons, an electronic key reader on the facia, a starter button next to the electronic key reader and an electronic steering wheel lock on the steering column. To start the engine, the key must be inserted in the reader, after which the button has to be pushed together with the clutch and/or brake pedal for the utmost security purpose. It also offers as an option a sophisticated and high- tech built-in protection system that comprises the volumetric, anti-lift, anti-break in, anti-theft safe lock device, making it impossible to open the doors even if the window is broken. The 2010 Chevrolet Cobalt continues essentially unchanged for 2010 with new exterior and interior colors added. The fuel-efficient XFE is rated at 37 mpg highway, the LS and LT are rated at 33 mpg highway and the high-performance Cobalt SS is rated at 30 mpg highway. Overview Chrysler 300C is engineered to offer a smooth, luxurious ride while maintaining a feeling of control and confidence. Effort was also focused on minimising noise, vibration and harshness, resulting in a driving experience that is smooth and quiet. Exterior The Chrysler 300C promises to never pass unnoticed; its highly distinctive front end with the striking bold grille and long bonnet will certainly turn heads. 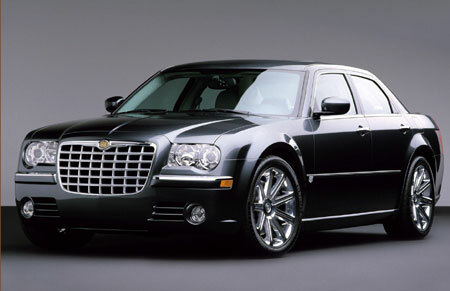 The Chrysler 300C offers athletic and nimble suspension and steering characteristics, with the front and rear suspension tuned for greater handling performance. A well damped ride, with reduced body roll, gives the customer a precise and responsive driving experience. Interior The striking exterior proportions of the Chrysler 300C are matched inside the saloon. The 300C has best-in-class rear legroom of 1020mm. The well appointed interior features satin silver accents and an elegant analogue clock. All models feature a dark and light slate grey leather interior and a host of standard equipment. 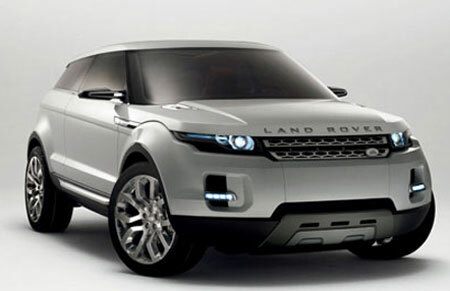 Overview The Land Rover is a thoroughbred sports car with GT levels of comfort and refinement. Combining Aston Martin’s unique character with an uncompromising design philosophy, the DB9 was borne out of a synthesis of traditional craftsmanship, high-tech manufacturing, modern components and use of the finest materials. The car is both a full-blooded sports car and a hugely capable grand tourer. Whether in Coupe or Volante form, it offers a supreme combination of driver involvement, character, luxury and refinement. Exterior No sports car manufacturer has a greater design heritage than Aston Martin. Responsible for some of the most beautiful sports cars ever made, Aston Martin imbues every model with understated elegance and graceful styling, achieved through harmonious proportions, taut surfacing, a ground-hugging stance and thorough attention to detail.